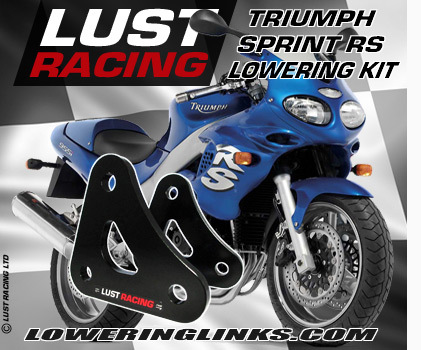 Triumph Daytona 675 R lowering links for year 2010 to 2012, 1.4″ inch lowering kit. Triumph Daytona 675 R Lowering links. 1.4″ inch lowering kit for Daytona 675R for year models 2010, 2011 and 2012. Lowers the rear suspension and reduces the seat height.